The Ambassador’s Daughter by Pam Jenoff is a marvellous historical novel that captures the atmosphere in post war Paris 1918 – 1919. It is a time of turmoil, with lives still reeling from the losses in war. Paris is a cosmopolitan city but wearing a German uniform is still greeted with hostility. War has hardened hearts. War designed by politicians has disrupted and devastated ordinary lives. All over Europe and beyond, mothers of all nations are grieving sons, husbands and fathers – sacrificed as cannon fodder on the battlefields of Europe. The novel surrounds the peace treaty. Ideally it will be “Peace without blame.” The Treaty Of Versailles was a disaster, with the German delegation being excluded from the negotiations. The terms were dictated to them. Those who signed the treaty were referred to as the November criminals. The so called peace treaty paved the way for World War II. The Orphan’s Tale by Pam Jenoff is a historical story. I loved it and was totally immersed in the action. 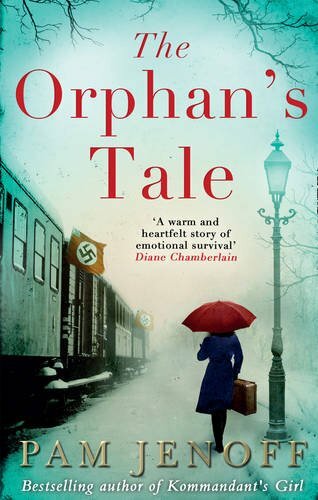 The Orphan’s Tale is a story of courage, of love, of friendship, of a fight to survive in Hitler’s Germany. The leading ladies, Noa and Astrid are both strong personalities with a sense of loyalty and a will to survive. 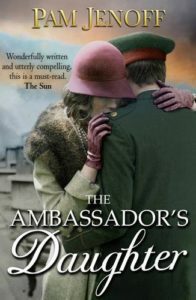 The novel tells of their rivalry, their friendship and their love. The circus community “presents everything Hitler hates: the freaks and the oddities.” The circus is also a family, showing more loyalty than some blood ties. Their reliance on each other is a daily necessity, not only in life but also in some of the acts. The trapeze artists have to work with tremendous trust – as one lets go, they are trusting the other to catch them.